Just as no one wine fits all, no one Farmhouse Inn getaway fits every guest so, naturally, we took the liberty of dreaming up a wide assortment of Sonoma Wine Country experiences. Take your pick! Whether you choose a romantic weekend, a sommelier-led wine tasting and tour, last-minute getaway, or another of our offers or stay enhancements, we promise an immersive, one-of-a-kind experience in California Wine Country. Escape to Farmhouse Inn mid-week (Sunday-Thursday) and save up to 20% off our Best Available Rates. Some blackout dates apply, offer is subject to availability, not combinable with any other offers. 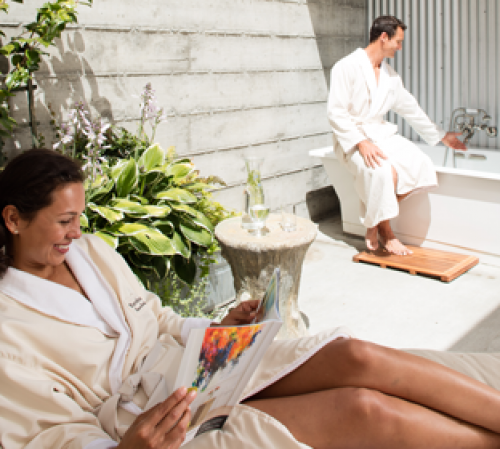 Slip away and let the spin of your world slow for a few days in Sonoma with a revival for the body and soul. Enjoy one of the best values of the season! Discounted pricing on two-60 minute spa treatments including gratuity. $50 daily food and beverage breakfast credit*. Offer requires a minimum of a 2 night stay. Spa special includes a 20% gratuity. *Breakfast Credit is for food and beverage only and does not include tax or gratuities. Based on availability and some blackout dates will apply. Valid on stays until October 31, 2019. Save up to 25% with the 4th Night on Us! Buy 3 nights and receive the 4th night complimentary on select dates. Stay 3 Nights in any of our accommodations and the 4th night is complimentary! 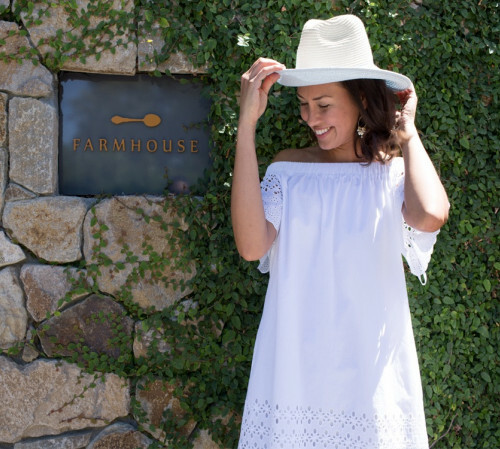 Farmhouse Inn and Meadowood Napa Valley are pleased to offer a very special Sonoma County - Napa Valley getaway with our award-winning dining experiences. Pricing starting from $4,300 for four nights, based on double occupancy. 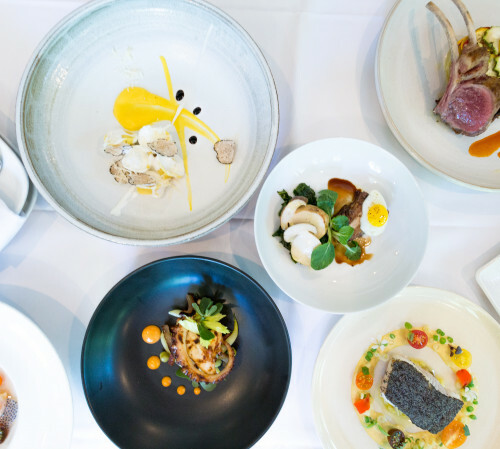 3-Course dinner for two in the One Michelin-Starred Farmhouse Restaurant with wine pairings Thursday – Monday nights only. Some blackout dates and minimum and restrictions may apply. 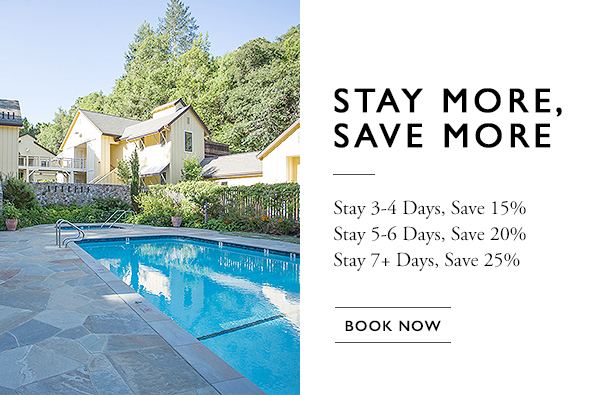 Take advantage of the top savings year round when you stay 3 nights or more! Based on availability, some blackout dates apply. Valid through December 31, 2019. Take advantage of a quick getaway mid-week! Stay any 2 nights Sunday through Thursday and receive the 2nd night at 50% off our best-unrestricted rates on King Deluxe or King Luxury Suites. Book May 1, 2019 through July 31, 2019. Offer is based on availability and some blackout dates apply. For stays longer than two nights please call the hotel for fast assistance.